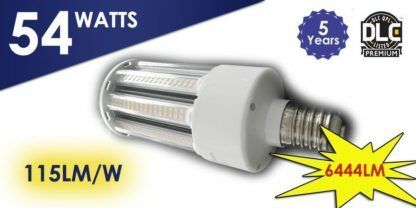 The new 54 Watts LED Corn light is equivalent to 175W (MHP) Metal Halide in light output (6444LM). Moreover, Super Bright LM-79 listed Samsung or Epistar 2835 LED features 115 lm/W efficiency light output. 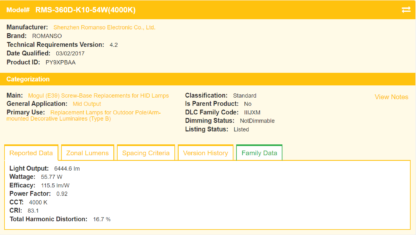 It will lower the electricity consumption over a standard 175W MH bulb. 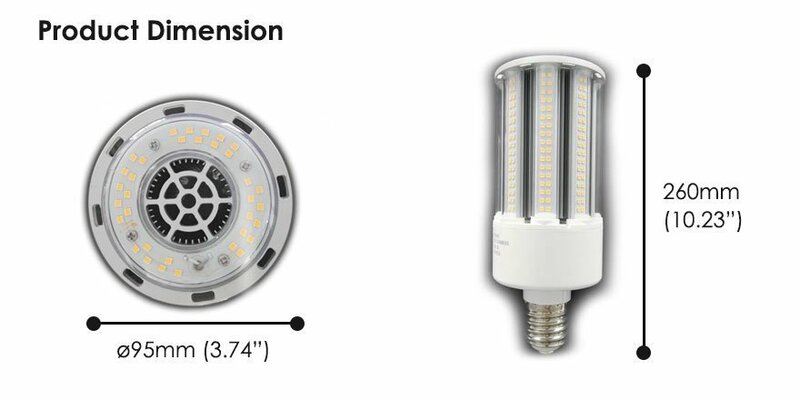 The LED Corn light uses hollow heat sink, ventilation design for thermal temperature management and does not uses any fans for heat dissipation. The internal driver uses Rubycon capacitors for a long life of the fixture. 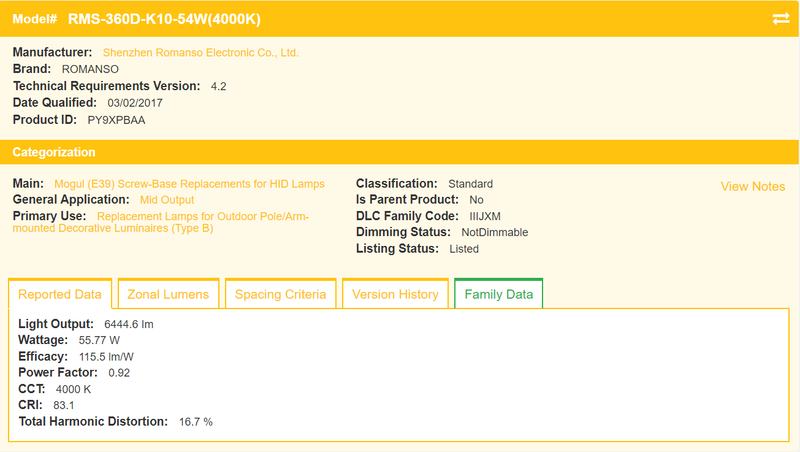 Furthermore, the Fully potted isolated driver comes with Dow Corning thermal glue and can be used in enclosed fixtures. Suitable for use in enclosed luminaries. 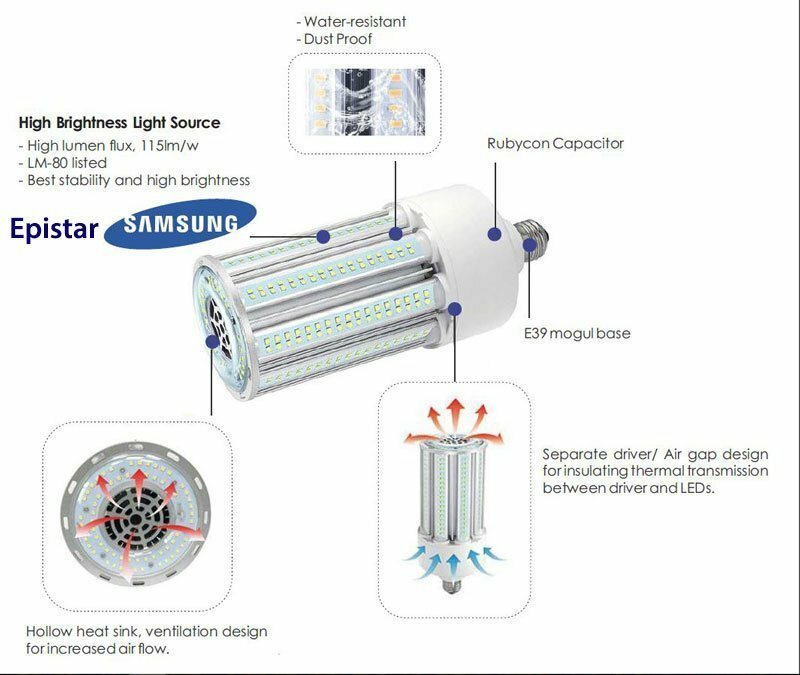 Replacement for HID, MHL Highbay or post top. Lasts longer than HD lamps. 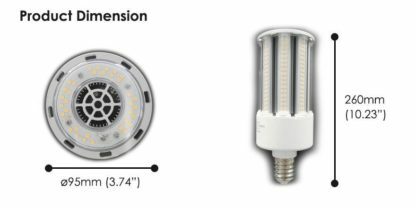 Samsung or Epistar 2835 SMD LEDs. 6000V high voltage surge protection. cULus, DLC, FCC and Rohs certifications. 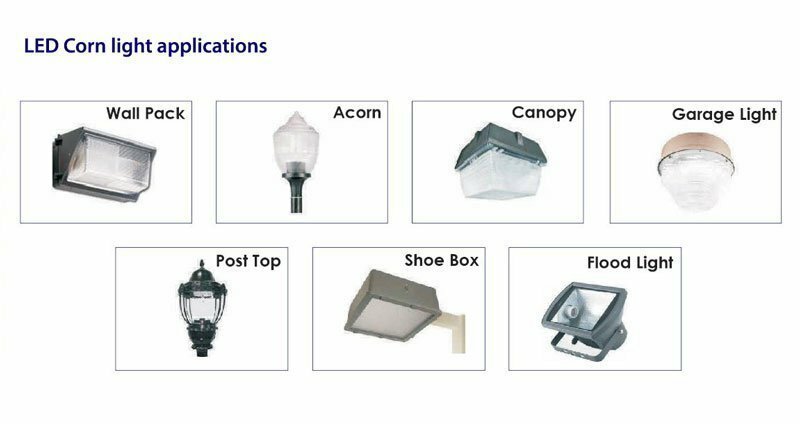 Widely used in retrofitting HPS/MH/HID/CFL as street light and industrial light. Application locations are warehouses, production and logistics workshops, retail stores and other industrial and commercial lighting.